Colonel Dwayne Hobbs was born in Ottawa and raised in Toronto. He enrolled in the Canadian Armed Forces in 1988 with the Essex & Kent Scottish Regiment and Commission with the Toronto Scottish Regiment (Queen Elizabeth the Queen Mother’s Own) in 1992 while he was studying at the University of Toronto. 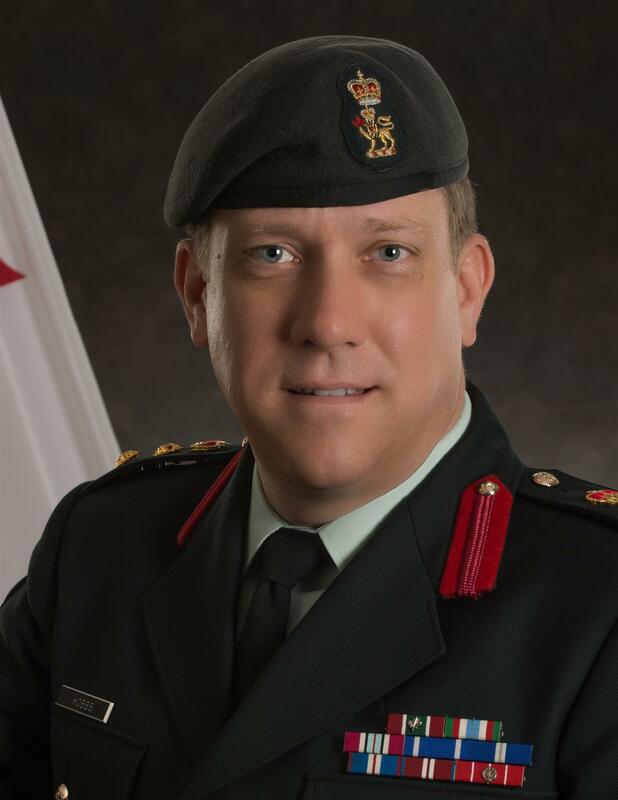 He has commanded from the Platoon to Unit level and has held staff appointments in 32 Canadian Brigade Group, 4th Canadian Division, the Canadian Army Doctrine and Training Centre and Army Headquarters. From 2006 until 2012, he worked as a Military Advisor to Defence Research & Development Canada in Toronto. He has commanded the Toronto Scottish Regiment, the Brigade Battle School and 32 Canadian Brigade Group, the Army Reserve Formation covering Greater Toronto. Operationally, Colonel Hobbs has deployed twice to Bosnia-Herzegovina, served as a United Nations peacekeeper in Israeli-occupied Syria and has served in Afghanistan as the Officer Commanding the Operations Coordination Centre – Province (Kandahar) inside the Governor’s Palace in Kandahar City. In a domestic context, he served as the Operations Officer of the Reserve Force contingent of Operation PREAMBLE in 1999, was the Brigade’s Domestic Response Company Commander and served as the Armed Forces Logistics Coordinator for three tours of Canada by members of the Royal Family. He is a graduate of the Infantry School, the Tactics School, Army Staff College and most recently he completed the National Security Programme at the Canadian Forces College. During the day he works for Scotiabank in Audit Professional Practice. He and his wife Laura live in Muskoka. He is currently the Assistant Chief of Staff for support functions of 4th Canadian Division Headquarters in Toronto.